Dana & Tom found us all the way from Arizona & we’re so glad they did. Dana’s criteria for her invitation was for it to be striking & unusual yet portray a simple elegance while incorporating traditional red & gold in respect of her father’s Chinese heritage. The ceremony was held at the cutest little rustic chapel in Tucson while the reception was at an upscale restaurant, so it was important that the invitation be a reflection of both of these locations & the inherent elegance of both. She decided on a beautiful red silk gate fold folio with gold ribbon & ornate crystal clasps we had made and shipped from China specifically for these invitations. Each invitation was wrapped in gold tissue and mailed in a glossy red box with custom address labels. We loved working with Dana & always appreciate the trust it takes in working with a vendor from so many miles away! Michelle, from the Great Events group, came to us with the great theme of Four Seasons. She was looking for something fun and whimsical for her Save the Dates, and brought forward the idea of the “fortune teller” game – I think it works perfectly! Can’t wait to work on Michelle & Cyprian’s wedding invites – working with this creative couple, I guarantee they’ll be spectacular! Once you open the folds, you see the couple’s monogram. Each triangular flap has additional wedding details. The folded game was inserted onto a 5″ x 5″ flat card with instructions. Loved, loved, loved this set we did for a couple embracing the theme of “follow your heart.” She was based in Vancouver, he was based in Boston, and what better way to illustrate their long distance love than with a clever heart and map graphic. 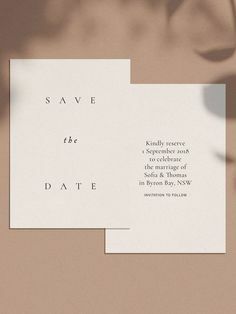 The invite was letterpress printed on double thick Cranes bamboo stock, and the postcard response card was letterpressed onto heavy weight chip board. The final product was tied together with twine, the perfect rustic finishing touch. For a personal touch, we added hearts and “travel lines” to all the locations where the wedding guests would be travelling from. A pale pink envelope liner accented the set perfectly. The Bride wanted something out-of the ordinary for her thank you cards, so we went with a landscape oriented folded card, and used matching pink striped washi masking tape on the inside. The beautiful couple! Congratulations Taylor & Chris! Many thanks to Renee at Aird Events in Vancouver for the reccommendation! Check out Taylor’s review in the Wedding Wire window to your right.